This is really the best juicy roast turkey. Every little piece of the turkey tastes insanely good! The key thing here is to follow my exact ingredients and directions and I guarantee your turkey will be SO tasty. It is juicy on the inside, crispy on the outside and so good! This is the best turkey I have ever had! Roast Turkey never really tickled my fancy because most of them are so bland and/or dry with seasoning that only remains on the outside of the turkey. Can you relate? So I set out to develop the the best thanksgiving turkey recipe ever! I mean, roast turkey that you can actually eat and enjoy not just because it is Thanksgiving and you have to eat turkey. But because the turkey tastes so good that you can’t resist it! That’s the story of this juicy roast turkey. My special marinating technique ensures that the seasoning gets to every nook and cranny of the turkey. And what’s that technique? It is using a flavor injector to inject the seasoning into the Turkey. But that’s not all. The seasoning you inject into the turkey has to be in liquid form. If it is too thick, then the flavor injector will get blocked and you won’t be able to inject the turkey. So I sieve the liquid out of my spice blend and use. Then I use the “chaffs” of the spices together with other ingredients on the skin of the turkey. The result is an insanely flavorful juicy roast turkey! Every little piece I tasted out of this tasted so good with all the flavors of the seasoning! I don’t think I have ever been excited about a recipe as I am about this one! You know why? 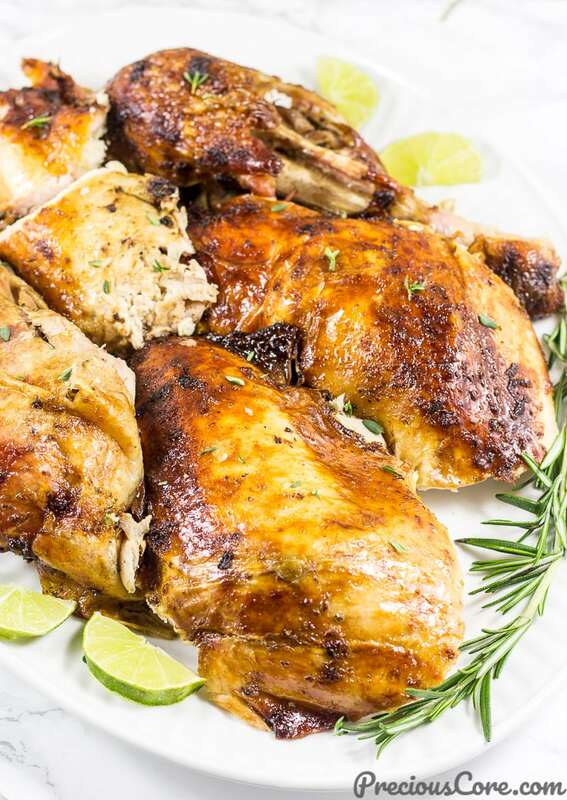 Because if you follow this exact recipe… I mean follow all the ingredients, their exact measurements (or multiplied measurements to suit turkey size) and my marinating directions, you will be blown away by the taste of the turkey! It is perfectly tasty – it is not bland one bit! It is perfectly juicy – it is not dry on the inside one bit! It is crispy on the outside and a pure delight. You can do this! You can make this perfectly juicy roast turkey and be a star on Thanksgiving day. 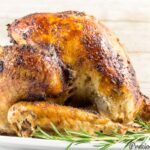 You can make this and create food memories that will never go away – everyone in my home is in awe of how tasty this turkey is! I made this recipe in a bid to inspire my readers – African and otherwise on how to rock their Thanksgiving Turkey. So this is a fusion recipe. It is an African style turkey with an American flare. 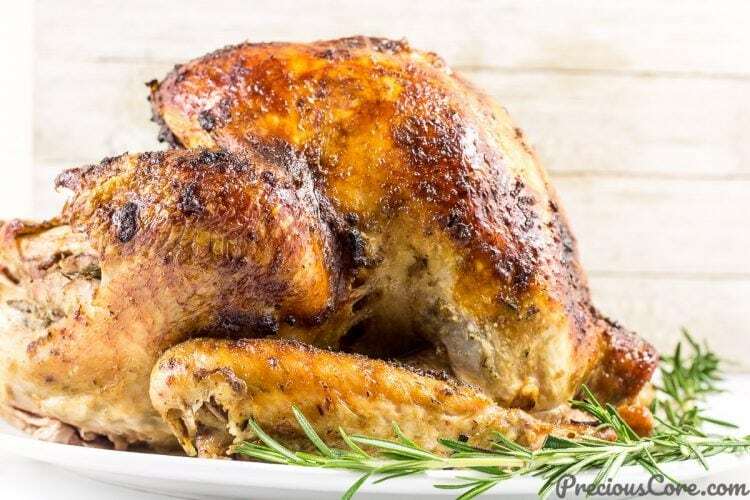 This juicy roast turkey recipe is a must try! If you are in search of the best Thanksgiving Turkey recipe, this. is. it! 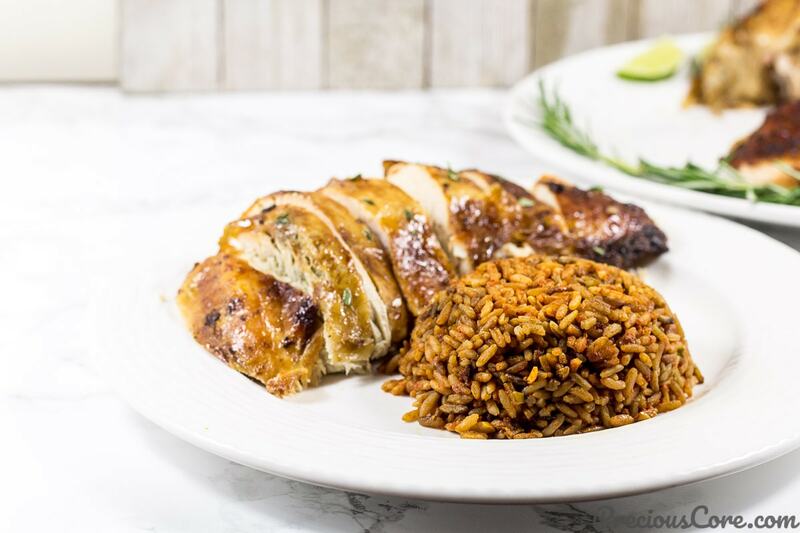 For an African style Thanksgiving, serve this turkey with this oven-baked Jollof Rice. You could also serve it with some cornbread on the side. Also, if you would like a roast chicken recipe instead, check this out. 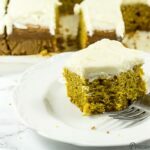 And for dessert, check out this pumpkin cake with cream cheese frosting or this pumpkin roll cake. 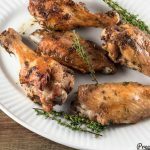 Also, check out this Baked Turkey Wings recipe. Watch the video so you can see the entire process from start to finish. Then go make some! This is really the best juicy roast turkey. Every little piece of the turkey tastes insanely good! The key thing here is to follow my exact ingredients and directions and I guarantee your turkey will be SO tasty. It is juicy on the inside, crispy on the outside and so good! This is the best turkey I ever had! *I really recommend that you watch the video of this recipe on my YouTube channel. 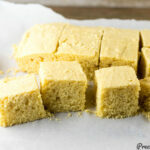 That will make following this recipe much easier for you. Wash turkey thoroughly and pat dry with paper towel. Place turkey in a large tray (I placed it in the aluminium foil baking pan I used in baking it). Remove needles/leaves from rosemary and the leaves from the thyme. Place into a blender. Add the garlic, ginger, onions, white pepper, black pepper, seasoning cubes and about half a cup of water. Blend together to form a paste. Pass the spice blend through a fine sieve and squeeze. Place the spice liquid in one bowl and place the spice chaffs in another bowl. Note: the liquid should be about 8oz. If it is smaller than this, rinse the chaffs ahain to add more. Add 1/4 teaspoon of salt to the spice liquid and 3/4 teaspoon of salt to the spice chaffs. Add 1 tablespoon of olive oil to the spice liquid and 1 tablespoon of olive oil to the spice chaffs. Whisk the spice liquid well and set aside. Use the flavor injector to pull in the spice liquid. Now inject the turkey starting with the turkey breasts (inject about 2oz into each breast). Then move on to the thighs and inject about 1oz into each thigh. Inject other meaty areas of the turkey. *Note that it is normal to notice a spill over as you pull the flavor injector out of the turkey. Rub the butter mixture all over the turkey being careful to rub the cavity and every nook and cranny. Note that this mixture might try to slide down so be sure to let place some to stay right on top of the bird. When ready to roast the turkey, preheat oven to 350 degrees F (180 degrees C). Take turkey out of fridge and let it rest so it can come to room temperature. Take plastic wrap off the turkey and place in the last but one rack of the oven to bake. After the first hour, remove and baste - gather some of the liquid under the turkey and pour over the turkey using a good old spoon or a baster. After the first basting, baste the turkey every 30 minutes until it is done. So baste about four times in total. The turkey should cook for about 2 and a half to 3 hours. *Note that if your turkey starts getting too brown during the roasting process, you should cover it with foil so it doesn't get too dark on top. After about 2 and a half to 3 hours your turkey should be fully done. To ensure it is done, insert a digital thermometer to the thickest part of the turkey. If it reads a temperature of 175 degrees Fahrenheit, then it is done. Let the turkey rest in its juices for about 20-30 minutes before you transfer it to a serving platter or cutting board. 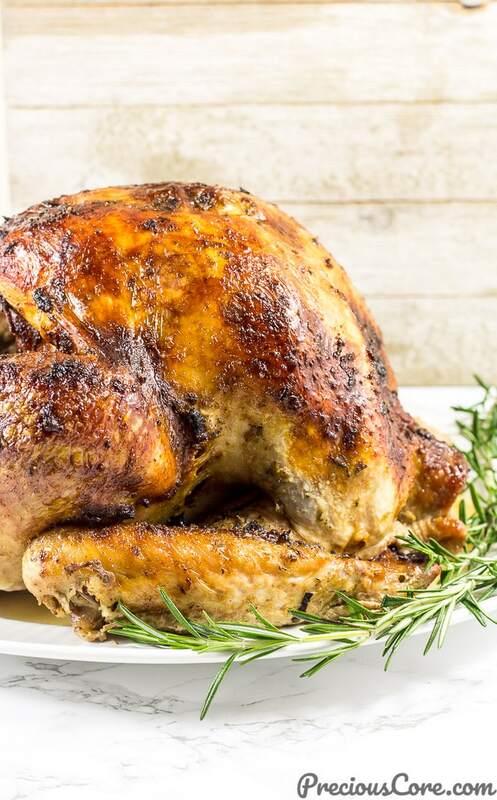 Cut and enjoy this perfectly juicy roast turkey! 1. Note that these ingredients will sufficiently work for a turkey that's about 11-12 pounds. If your turkey is bigger than that, increase every ingredient to suit the turkey size. Do the math. For example, a 24 pound turkey will require double of every ingredient. *If you don't adjust the ingredients your turkey won't taste as good as mine. 2. If you love your turkey to have some heat, feel free to add in one habanero/scotch bonnet pepper when blending the spices. *Recipe first published on November 17, 2017. Bumping it up now so you can make the best Thanksgiving Turkey ever! Thanks for sharing these amazing recipes with us. Please where can one get this flavor injector in Nigeria? Hi Ruth, I’m not sure where you can find it in Nigeria. 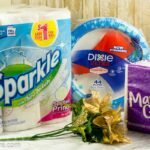 I suggest you check supermarkets like Shoprite. Hopefully, you find it. Thanks for sharing Precious. Ruth, I a sure a normal syringe and needle from the pharmacy can do the trick too. Haha, at the kondi for fowl. Your Bamenda Cameroonian Sr here! That’s so right, Pascaline! A favor injector is basically a syringe in a larger size. Thanks for sharing, dear. 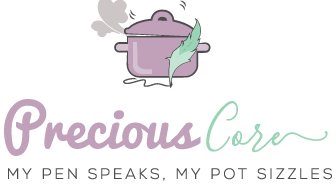 Precious and her delicious smelling and tasting recipes. Don’t ask how I know, I just know lol. Bisi and her very kind words! Thanks dear. Oh this Turkey sure looks delicious. We celebrated Thanksgiving in Canada in October but I’m sure I’ll come running to this recipe by next year. Thanks for sharing, never knew there was anything like flavour injector. Glad you love it, dear. 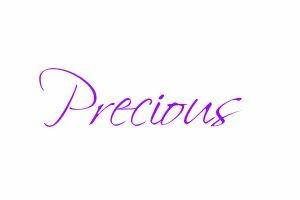 Precious you are a lifesaver. I love cooking but I always struggled with getting my turkey well seasoned and moist. Thanks a million. You are very welcome, dear. So glad this helps. I have to try this. This looks so delicious. Precious core you fit make person cook soteh forget say space no dey for fridge again to store food. More inspiration my sis. Hahahaha no be so? Thanks, sis!